Beautiful example of a classic Australian mid century design. These daybeds fold down to make a handy spare bed and also make a comfy generous couch with out visually blocking in a room. The blackwood frame is very tight and solid and super clean. 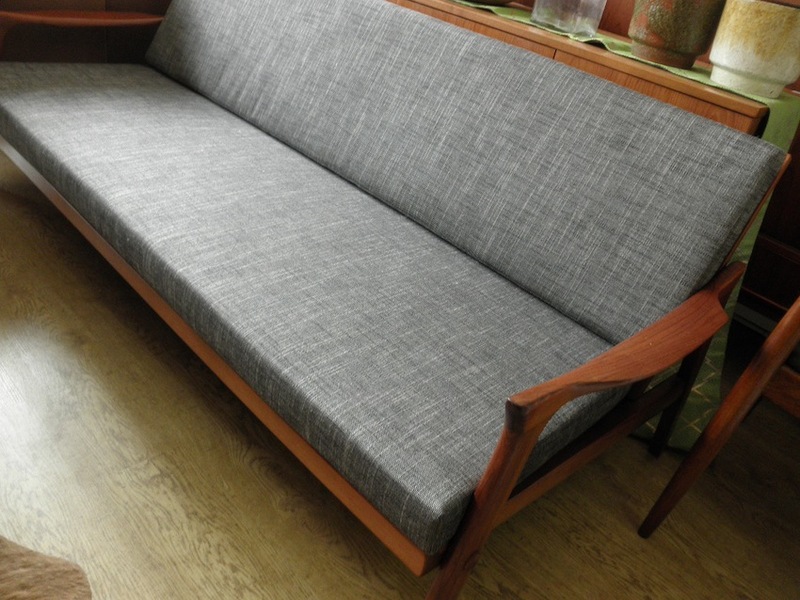 It has been fully reupholstered in a quality dark grey wool fabric over new cushions and quilting. Good examples of these are getting so hard to get and the price we have to pay keeps going up so be quick. 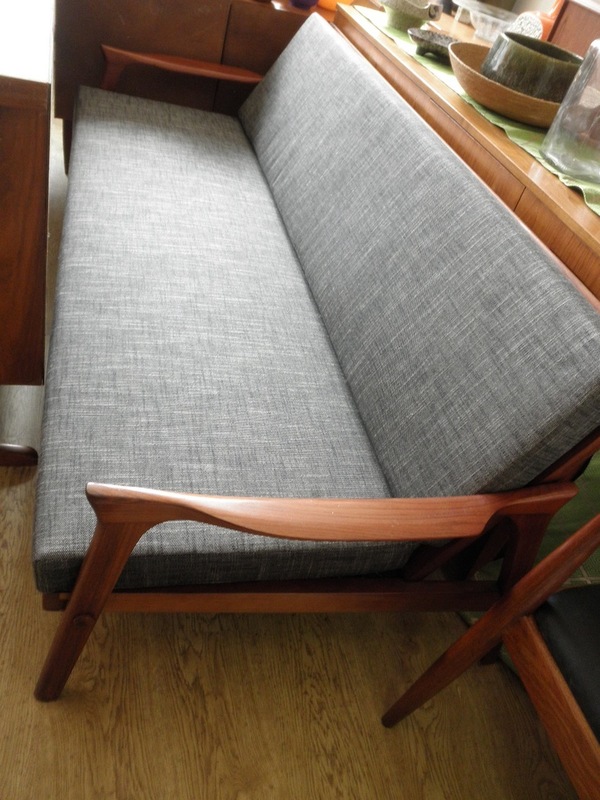 We also have a second Inga daybed and a pair of armchairs available which can be re upholstered in your choice of fabric. 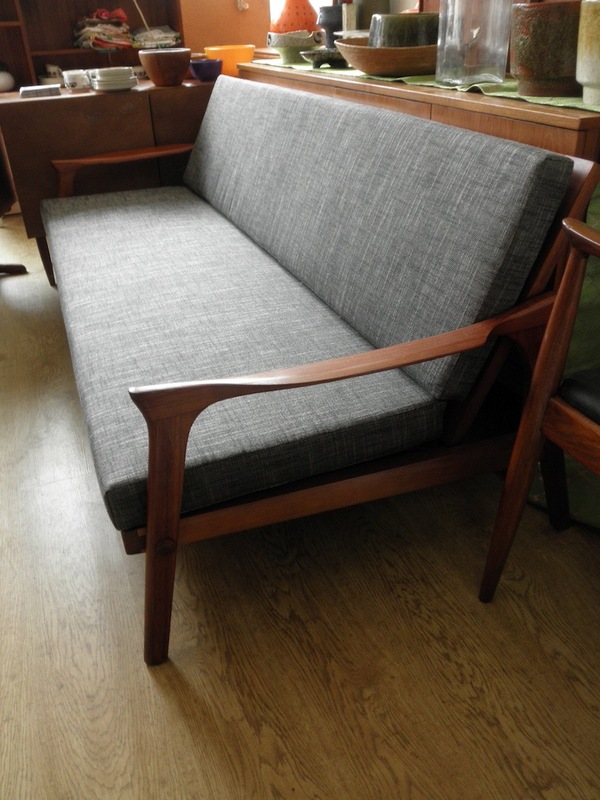 We also have another frame ready to be reupholstered- call us for re covering options if you want it in your choice of fabrics.